Remarks: Wagon type of hire taxi for 7 or 10 passengers will be charged “Basic price ＋US $50.- “. The prices above are excluding consumption tax. The prices above are excluding high way tolls. For pick-up / drop-off outside the 23 wards of Tokyo, a deadhead fee will be charged. Cancellation from 18:00 to 24:00 before the day to ride will be charged 50% of charter fare. Cancellation beyond 0:00 am before the day to ride will be charged 100% of charter fare. Direct driving to Haneda with flat rate system. Direct driving to Narita with flat rate system. Superior Estcourt to Golf club. private trip and sightseeing by hours, by day. Tour of Tokyo and Charter driving. 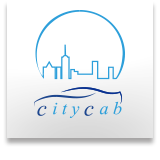 Copyright © 2019 Citycab Home Page (Draft)　Taxi & Hire Reservation All rights Reserved.